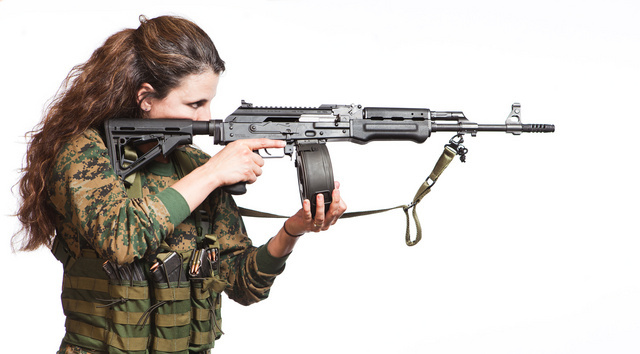 This entry was posted in rifle, self-defense, weapon and tagged 7.62x39, AK47, camouflage, drum, woman. Bookmark the permalink. A hasty sling will provide better support.